Complete Collector’s Edition of Articles from Real Kung Fu Magazine! Wai Bun, The Secret of Five Pattern Hung Kuen, in: Real Kung Fu, November 75, Vol. 1. p. 44-57. 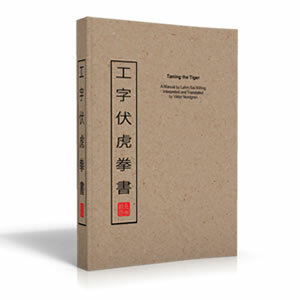 Leo Chu, The Year of the Snake and the Snake Form of Sifu Wong Ching Ping, in: Real Kung Fu, Vol. 2, N. 4, 1977, p. 16-23. Martin, Shun Kwai – A Retired Exponent of Hung-Choy Style, in: Real Kung Fu, Vol. 2, N. 9, 1978, p. 8-17. Aaron Lee, Chung Chai Sum. A Scholar, Actor and Skilful Fighter, in: in: Real Kung Fu, Vol. 2, N. 9, 1978, p. 57-63. Wing Yan, Anecdotes of Lam Sai Wing, in: Real Kung Fu, September 75, N. 1, Vol. 1., p. 9-11. Anthony, Bitter Experiences of a Wanderer in War-Time. Yuen Yik Kai & Five-Pattern Hung Kuen, in: Real Kung Fu, September 75, N. 1, Vol. 1., p. 52-54. Aaron Lee, The Sources and Applications of Chinese Weapons. The Long Pole, in: Real Kung Fu, Vol 1. Num. 7, 197?, p. 25. Leon, The King of Long Pole. Sifu Tam Hon, in: Real Kung Fu, Vol 1. Num. 7, 197?, p. 26-34. Andre Lam, The “Tigress”- Madame Mok Kwei Lan – Widow of the late Wong Fei Hung, in: Real Kung Fu, Vol 1. Num. 7, 197?, p. 49-59. Wai Choy, Liu Chia Huey, in: Real Kung Fu, Vol 1. Num. 7, 197?, p. 61-66. The Ten Forms of the Hung Kuen, in: Real Kung Fu, Vol. 2, Num 7, 1977, p. 49-60. Anthony, A Visit to Sifu Wong SiuFong of Hung Kuen, in: Real Kung Fu, Vol. 2, Num 7, 1977, p. 61-63. Martin, Wong Yuen Sun. 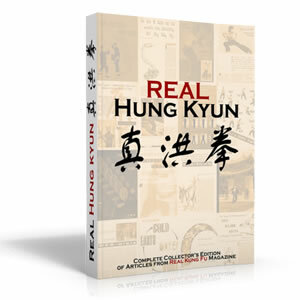 Hung Kuen, Karate and Kung FuStar, in: Real Kung Fu, Vol. 2, Num. 11, 1978, p. 26-32. 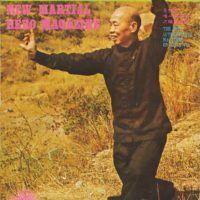 Martin, Hung Kuen Sifu Wong Chun Nam, in: Real Kung Fu, Vol. 2, Num. 2, 1977, p. 36-41. Andre Lam, Master Chan Hon Chung. A Kung Fu Master Honoured by the Queen, in: Real Kung Fu, Vol. 2, Num. 1, 1976, p. 4-8. Wai-Choi, The Sources and Aplications of Chinese Weapons. The Single Broadsword, in: Real Kung Fu, Vol. 2, Num. 1, 1976, p. 29-34. 39. Famous Kung Fu Masters and Dogs, in: Real Kung Fu, Vol. 1, Num. 11, July 1976, p. 70-71. Martin, Chiu Chi Ling. 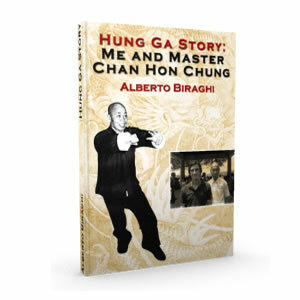 The Way of Hung Gar Kung Fu, in: Real Kung Fu, Vol. 1, Num. 2, October 1975, p. 44-51. Practical Techniques of Defence & Attack in “The Shup Ying Kuen” (Ten-Pattern Form of Hung Kuen), in: Real Kung Fu, Vol. 1, Num. 2, October 1975, p. 52-53. Aaron Lee, Sifu Leung Hon Kwong. One of the Very Few Who Knows “Iron Wire” Kung Fu”, in: Real Kung Fu, Vol. 1, Num. 1, January 1976, p. 63-67. Andre Lam, A Special Interview with Kwan Tak Hing. Wong Fai Hung the Second, in: Real Kung Fu, Vol. 1, Num. 7, March 1975, p. 4-13. 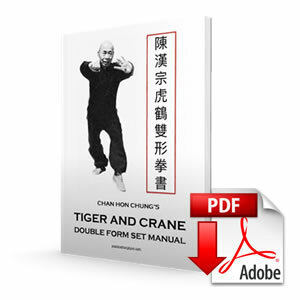 Martin, Chiu Kau Was Commited to Kung Fu, in: Real Kung Fu, Vol. 1, Num. 7, March 1975, p. 20-23. Anthony, Wong Kee Ying – Father of Wong Fei Hung, in: Real Kung Fu, Vol. 1, Num. 8, April 1976, p. 22-23. Five Elements & Five Figures, in: Real Kung Fu, Vol. 1, Num. 8, April 1976, p. 44-55. Andre Lam, An Interview with Liu Chia Liang, in: Real Kung Fu, Vol. 1, Num. 8, April 1976, p. 70-77. 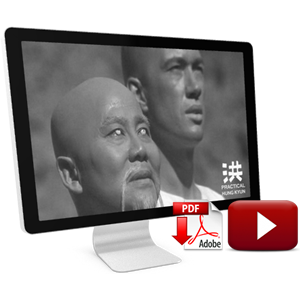 The Origin & Development of Five Major Wai Bun, Sects of Kwang Tung Province, in: Real Kung Fu, Vol. 1, Num. 5, 197?, p. 21-23. Martin, Virilio Sanchez Gonuales. The Kid. 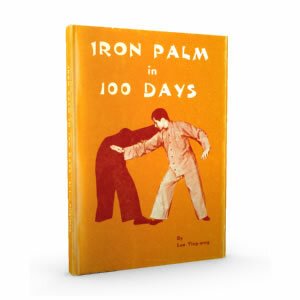 A Trie Story of a Hung Kuen Devotee, in: Real Kung Fu, Vol. 1, Num. 5, 197?, p. 25-27. Leo Chu, The Man of Hung Gar Kung Fu – John LEung Sung, in: Real Kung Fu, Vol. 1, Num. 5, 197?, p. 62-64.